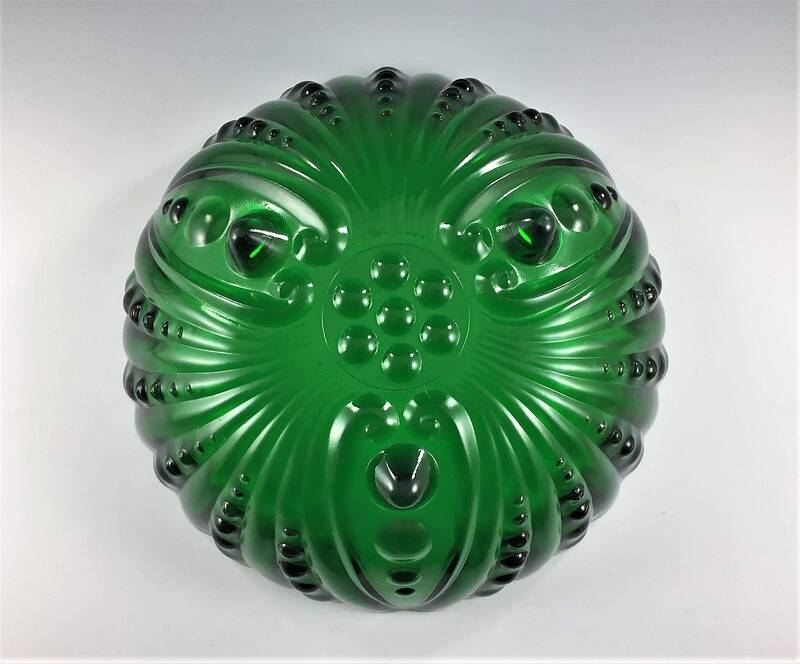 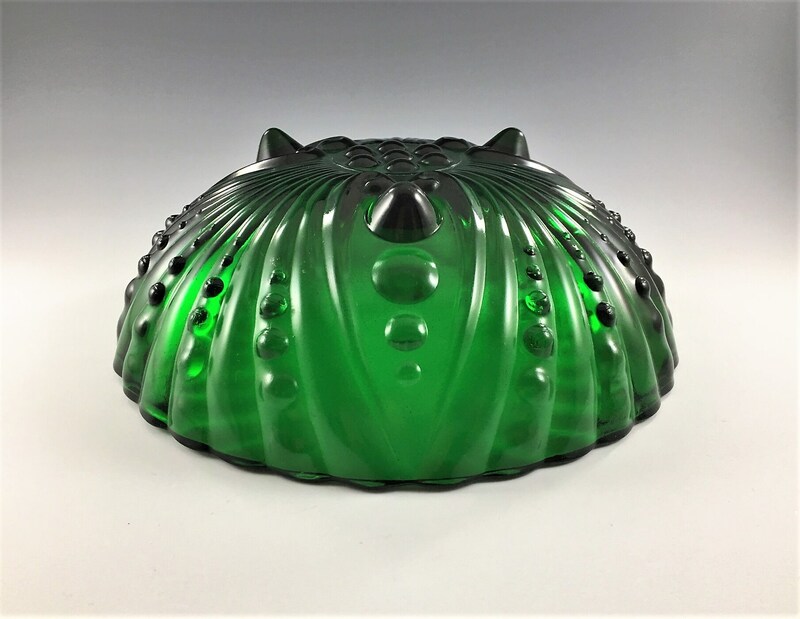 Featured is a wonderful vintage bowl from Hocking Glass. 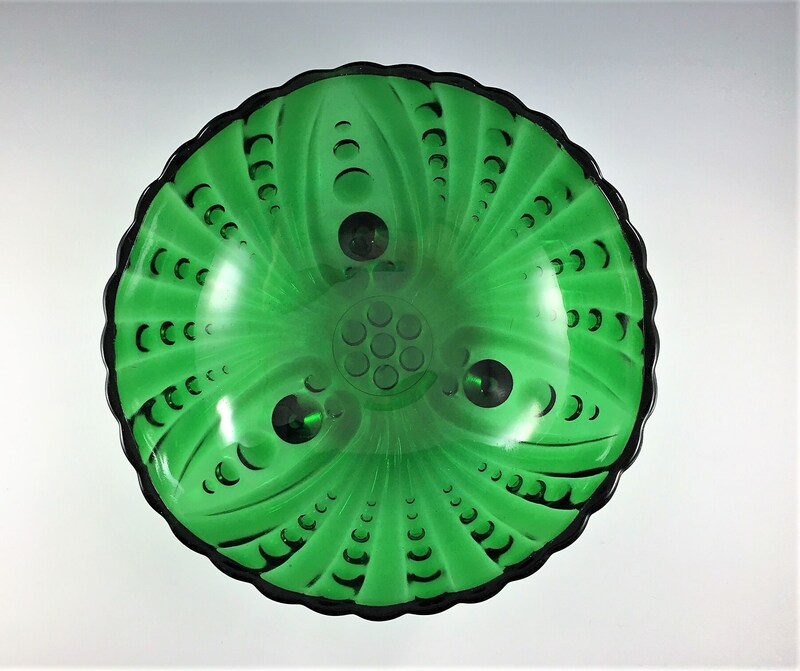 This 8 1/2 inch, three-toed bowl is called a "Large Dessert Bowl" in the popular Burple Green pattern. 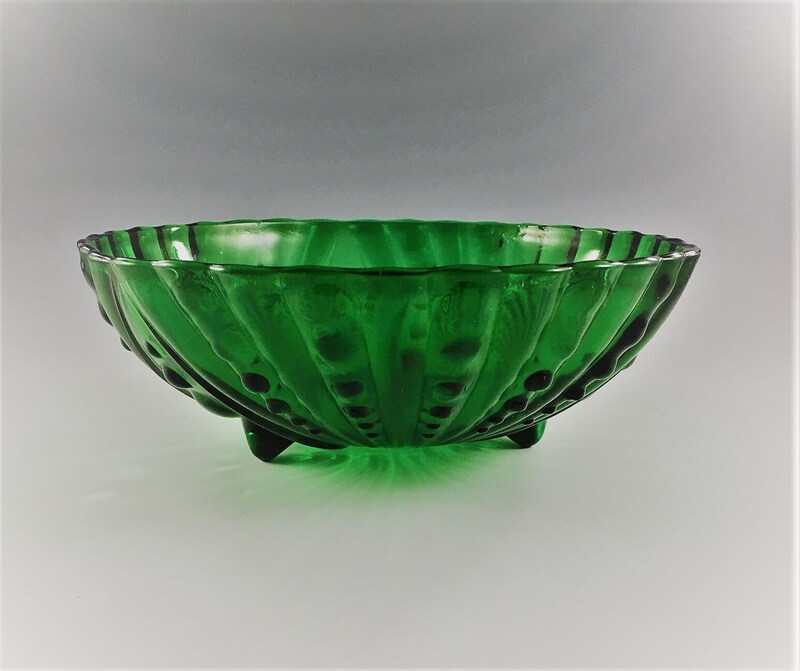 This emerald or forest green bowl is about 2 7/8 inches deep and is in excellent condition, free from any chips or cracks.